Watch the SCIA Story, told by Vítek Vondráček, who is part of the SCIA Development Team. Are you as excited as we are at SCIA to jump into the new year? I enjoy this time of the year as it is the time of reflection, time for family and friends and also, the time of excitement about what the new year brings. I am so proud of what our team and customers achieved. We released two versions of SCIA Engineer 17, designed to boost your productivity. It was the first version that incorporated the top three enhancements collectively selected by SCIA Engineer users. We introduced SCIA Engineer 17 at local SCIA conferences, where participants got hands-on sessions with our experts and networked with our team as well as their peers. What we appreciated the most about these events was the active engagement of everyone there. It helped us get to know our users better and to learn how we can add even more value to your everyday work with SCIA Engineer. Take a look at videos from our conferences in Houten, NL and London, UK. 2017 marked the 10th edition of the SCIA User Contest. 124 international structural and civil engineering projects participated in it. Utilizing SCIA Engineer as the structural analysis and design software, every single one of the projects illustrated originality and precision, and many also focused on sustainability and the application of BIM. Watch our SCIA User Contest 2017 video. In 2018, we will be focusing on working with you even closer. We are incorporating the top three user-selected enhancements in SCIA Engineer 18 again. In addition to many other planned improvements and functionalities, we are making this new version easier to use and learn. 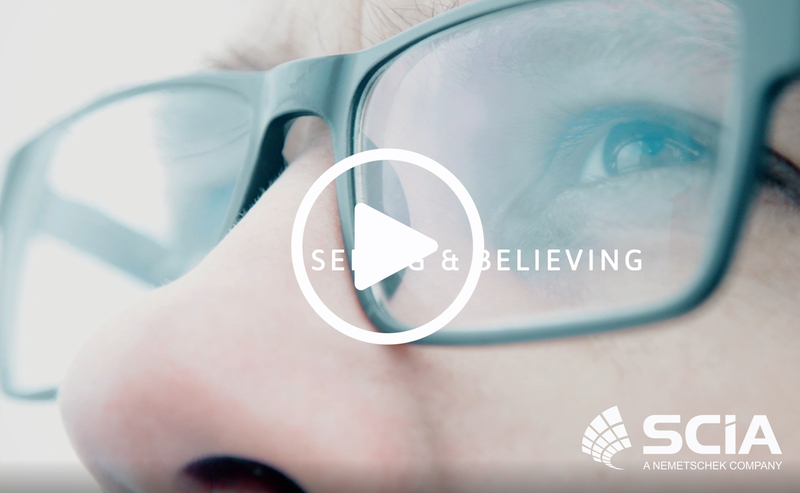 And to begin the year, we would like to share with you The SCIA Story: "Seeing & Believing", told by Vítek Vondráček, who is part of the SCIA Development Team. In all we do, our purpose is to delight our customers by helping them create the best structural designs. The success and results that you have with SCIA Engineer inspire and empower us to innovate. By investing 30% in R&D again this year, we will be making the next leap on our journey of creating the best cutting-edge software. That coupled with our customer support and expert services will give you the freedom to design anything you aspire, with confidence, knowing that you are supported along the way. If you want to share your project or give me any feedback or suggestions, please send me a note. Thank you for being part of our growing community of structural engineering devotees and for inspiring us every day with your achievements in turning your ideas into reality!